Did you ever open a book and want to like it? Gaetan Giannini Jr., chairman of the business, management and economics department at Cedar Crest College in Allentown, Pa., delivers exactly that when he attempts to combine marketing, public relations, and social media into Marketing Public Relations (MPR). It's a book you want to like. Wanting to like it wasn't always the case for me. A few months ago, I didn't want to like MPR. I alluded to as much when I first mentioned it after listening in on a webinar. So I have to give Giannini credit for contacting me after that post. He put Marketing Public Relations: A Marketer's Approach to Public Relations and Social Media from Pearson into practice, believing that if I read the book then he might sway me from the light of collaborating professionals and toward the dark of combined disciplines. He was partly right. When I opened the shipping package and thumbed through it for the first time, I immediately wanted to like Marketing Public Relations. I really did. And I still do. Why you'll want to like Marketing Public Relations. Marketing Public Relations is packed with content, skipping across the varied subjects of marketing, public relations, and social media. As a comprehensive textbook, it reads several generations ahead of anecdotal pop trappings that tend to masquerade as marketing and social media books nowadays. There are ample models, studies, and diagrams. Giannini introduces classic concepts such as The Business Strategy Diamond from Carpenter, Mason, Sanders, Gerry, Strategic Management and Maslow's "A Theory of Human Motivation" alongside studies by PEW Charitable Trusts and the Keller Fay Group. There are adequate applictions. Some of the suggested assignments would even benefit working professionals, helping them rethink how they apply communication. For example, in one chapter, Giannini suggests that students think of the most expensive purchase they made, track their purchase decision-making process, list all of the connectors (influencers) that contributed to the purchase, and identify what messages they delivered to the student. The case studies that precede each chapter seem fresher than inclusions in most books. He offers up snippets from Ecover, Red Bull, Hannah Montana, and Ben & Jerry's. About Harry Potter, Giannini frames up J.K. Rowling alluding to the demise of two familiar characters on a British talk show. He attributes resulting mainstream and social media frenzy to marketing public relations in action, which departs from what most public relations professors might call it. Most would call it publicity. But that is the point. All of these elements are used to underpin the premise of Marketing Public Relations. And although Giannini doesn't provide a crisp one or two sentence definition of what MPR really is, you can surmise it is the practice of delivering planned marketing messages to very specific and targeted intermediates (connectors and influencers), with the intent that they will carry a closely aligned message forward to the audience you want to reach. While I'm not certain how this differs from how communication has always worked, whether marketers recognized it or not, Giannini works diligently to consider this the cornerstone of MPR and then aims to cherry pick principles as valid under the new construct. When it works, different disciplines will benefit from a perspective they may have neverconsidered. When it doesn't work, everyone will be even more confused. Why Marketing Public Relations is a dangerous book. "Traditionally, PR is defined as a firm's efforts to build good relations with its various publics by obtaining favorable publicity, building up a good 'corporate image,' and handling or heading off unfavorable rumors, stories, or events." This disaster of a definition is not Giannini's fault. It belongs to Gary Armstrong and Philip Kotler, from Marketing, An Introduction, 9th edition. That makes sense to me in that Kotler, who is a brilliant marketer, has always aligned public relations under sales promotion. 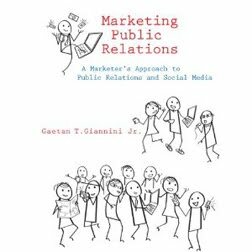 In fact, it is Kotler who originally coined the term Marketing Public Relations, but with very different origins than the one proposed by Giannini. In Marketing Management: Analysis, Planning, Implementation, and Control, 6th edition, Kotler outlines public relations as handling press relations, product publicity, corporate communications, lobbying, and counseling. Marketing PR, he wrote, is an advent of companies developing departments to set up a special section that directly supported corporate/product promotion and image making. The old name for Marketing Public Relations, Kotler says, is publicity. And publicity, as we hope all public relations practitioners know, is not public relations at all. What is even more perplexing, however, is that Giannini calls Marketing PR the birth of a new paradigm when it would really be a rebirth with the inclusion of the more publicity-oriented activities of social media. Where Giannini differs from Kotler, however, is that he assigns some propaganda duties under the the direction of MPR. Specifically: building the identity, increasing the visibility, establishing subject matter expertise, educating stakeholders, shaping public opinion, maintaining the image during a crisis, and stimulating repeat usage. In sum, these tasks encompass some public relations and advertising duties under the world view of publicity in order to serve marketing. Except, they generally manifest themselves as "the coverage of a story by media or the recommendation of a friend without a paid solicitation." The risk, naturally, is that the intended message can sometimes be altered, such as the reckless Aqua Teen Hunger Force case study from 2007. Ergo, if we mistake promotions and publicity as public relations, even under the banner of marketing public relations, it is likely we will further erode the core competencies that public relations could offer today and help it descend back into the ooze of propaganda where it originated. Only this time, it would be supported by social media. Perhaps unfortunately, where Giannini might be right is that is precisely what public relations professionals want to do. Having a cracked foundation isn't the only issue in the book. There are several other questionable concepts that could mislead practitioners, including the overemphasis of blogger popularity in order to separate top-tier social media outlets from the "chaff," considering "thought-leaders and "influencers" as one in the same, and misdefining promotion as paid messaging. On those points: never mistake page visits as an indicator because you never know who reads that blog; popular bloggers, influencers, and thought leaders are all very different; and promotion, even from a traditional view, is not confined to paid messages. There is more to vet, but the point is clear. In some cases, Giannini has adopted the mistakes some social media and public relations experts are making because they do not know any better. 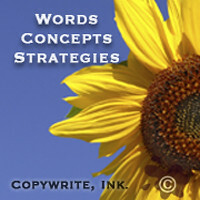 What to do about Marketing Public Relations. There is no denying that there is extensive value in Marketing Public Relations by Gaetan Giannini, Jr. He is a smart researcher, substantive educator, and intelligent practitioner who has presented material proving that the author didn't sit down and write this book on any given Sunday afternoon. Not all marketing, public relations, and social media books are like that nowadays. As a textbook, it comes with a steep price of admission, retailing at $96. Even the used books are selling at above $60. The price point comes from the inclusion of graphs, charts, and full-color pictures. 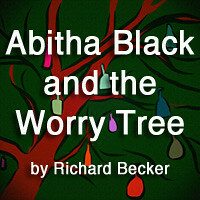 The three reviews on Amazon all rave about it. For me, I have to go back to my opening point. I want to like this book. I really do. In a convoluted sort of way, it represents everything that other books on social media miss and leave instructors wanting. And yet, when the very principles contained within would force instructors to vet more than their fair share of material, how can it be sent up with a recommendation? In a word or two or three. It can't be. Marketing Public Relations is a missing link between the business card books being offered by most publishers and what markers, public relations, and social media experts really need. However, it's only one step in the evolution of the communication chain and, without careful vetting in the classroom, it cannot be certain whether this mutation would lead to what we will one day call modern communication or if it is merely a branch that will see the same fate as the Neanderthal.